EVEN THE SWEETEST CAT CAN TURN SALTY WHEN IT COMES TO FOOD . 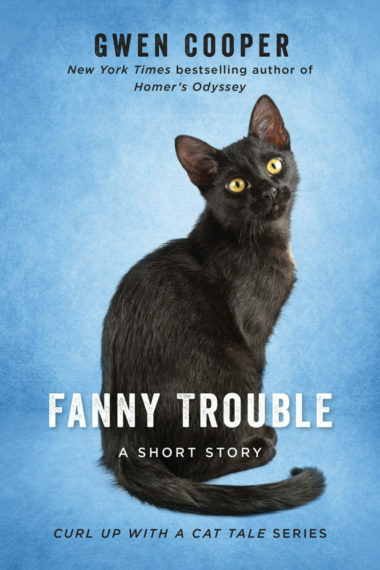 . .
Fanny the cat is the classic “good daughter”—a petite and pretty rescue with a shy, affectionate disposition who’s thoroughly doted on by her besotted humans. But the day she discovers dry food (otherwise known as “kitty crack”) for the first time, Fanny goes from angelic to devilish literally overnight. As her hapless human mom tries to cope with the new regime of pre-dawn wake-up calls (_feed me NOW!_) and all-day caterwauling, the question remains: Can a skinny cat’s newfound food addiction ever be tamed? The sixth installment in the monthly Curl Up with a Cat Tale series by Gwen Cooper—author of the smash-hit _Homer’s Odyssey: A Fearless Feline Tale_—“Fanny Trouble” is a hilarious and ultimately touching tribute to the things we do to make our cats happy. If you’re the human slave to your own fussy feline, you won’t want to miss it! 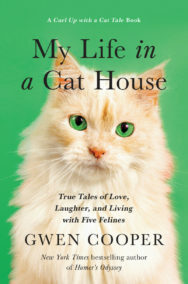 Gwen Cooper is the New York Times bestselling author of the memoirs Homer’s Odyssey: A Fearless Feline Tale, or How I Learned About Love and Life with a Blind Wonder Cat and Homer: The Ninth Life of a Blind Wonder Cat; the novels Love Saves the Day and Diary of a South Beach Party Girl; and the crowd-sourced collection of cat selfies, Kittenish (a send-up of Kim Kardashians Selfish), 100% of the proceeds from which were donated to support animal rescue in Nepal following the 2015 earthquake. Her work has been published in nearly two-dozen languages and territories around the world. 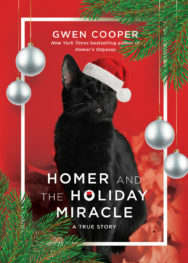 She is a frequent speaker at shelters and fundraisers, and donates 10% of her royalties from Homer’s Odyssey to organizations that serve abused, abandoned, and disabled animals. Gwen lives in Manhattan with her husband, Laurence. She also lives with her two perfect cats Clayton the Tripod and his litter-mate, Fanny, who aren’t impressed with any of it.